Father James Farfaglia is no stranger to this column. He's been featured and quoted several times over the last few years, and I'm happy to report that I agree with him 99 percent of the time. A priest of the Diocese of Corpus Christi, Texas, Father James is a member of the boards of directors of Hope House (a home for unwed mothers) and Human Life International. 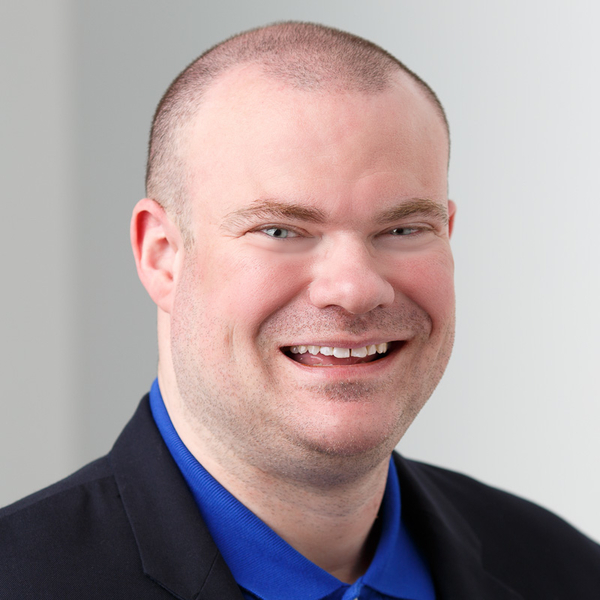 He has his own Internet ministry and is a contributor to Catholic Online. Father James has a new book out — Get Serious! A Survival Guide for Serious Catholics. It's his second book in as many years. With a foreword by Deacon Keith Fournier and a preface by Donna-Marie Cooper O'Boyle (reprinted below), Get Serious! has endorsements from Judie Brown, Michael H. Brown (no relation), Father Samuel Medley, Steve Pokorny and, last but not least, yours truly. Father James Farfaglia and I grew up together in the small rural town of Ridgefield, Connecticut. Well, kind of. You see, we both lived in Ridgefield and attended the same high school, but didn't know one another until many years later as Providence would have it. Several years ago, I happened upon one of Father James's articles about the Catholic faith on a Catholic website, one that I wrote for as well. As I read to the bottom of what I thought was a great article, I noticed that he was raised in Ridgefield, Connecticut. Did I know him? I wondered. Did a classmate become a priest? I was curious. Then, I had to get in touch to find out. I called his rectory where he serves as pastor and that phone call actually began our friendship across the miles — he in Texas and me in Connecticut (still). We have since shared our faith through our writing, visits, retreats and friendship. I am blessed to know Father James and know you will be too, once you have read this book. Knowing Father James Farfaglia as I do, I am not surprised that he decided to write this book Get Serious! A Survival Guide for Serious Catholics. In his own words, Father James tells us that, "this book is for serious Catholics or those who want to be serious in their relationship with God." If we are Catholic, it makes sense to me that we should want to get serious about our relationship with God. You've got the book in your hands to show you how. Father James is a man who seriously lives his faith. At the same time, he doesn't wear blinders or hide away in the rectory. This priest is no stranger to the crazy culture in which we live in that can pull us away from the faith. His feet are no doubt firmly planted on the ground. Because he has seen it all, he is able to teach us through this book how to transcend the "insanity" around us and prayerfully remain sane, content and prayerful in our world today. I think it's safe to say that Father James is more than a little fed up with the current state of affairs in our world and even in the Church; upset enough to not sit back and just moan about it, or worse yet, give up. Instead, this author took the time to craft a book in which he lovingly and practically gives us the tools to truly live the faith and carry out our duties as Catholics. He is both unabashed and passionate about getting us to understand the necessity of becoming serious about our faith and living it prayerfully. He encourages us to pray like we really mean it; like we are serious about really loving God. He tells us that, "the Catholic Church and the world need a big dosage of real, mature, authentic and coherent Christianity." Whatever Father James does, he does with passion. I've seen him in action — whether it is administering the sacraments, getting after his congregation to get to Mass on time, sharing a meal with friends, or writing this book. He's not a gloom and doom kind of guy. Thank goodness! But, fortunately for us, he's an honest and compassionate priest, one who encourages the faithful not to become discouraged. Thank God for Father James who admonishes us to wake up from our slumbers and embrace the faith and all it entails, so that we courageously pray for every gift that the Holy Spirit will bring to us, enabling us to become a radiant beacon of light to lead the way to Heaven for others. Acknowledging that we live in a time of upheaval, Father James tells us that it's not unusual to feel overwhelmed or alarmed because of the upsetting things going on around us, including the clergy scandals, parishes shutting down, serious problems in our government as well as challenges and trouble at every turn. Because of these things, this no-nonsense author provides the tools to help us to not become victims or even despondent, but to instead become true disciples of Christ. I love that throughout this book Father James allows us to peer into his own life. Sharing anecdotes, he ushers us into various chapters of his life — all in an effort to illustrate how we are to learn to pray and how we can deal with the difficulties that beset us. No holds barred, Father James points out that "the narrow road to the Gospel is difficult to live. Nevertheless, it is the only road that leads to eternal life in heaven." He also openly warns us that without a serious prayer life we will be doomed. "Without daily contemplative prayer and daily Mass, or at least a prolonged visit before the Blessed Sacrament, you will be overpowered by anxiety and fear. You will implode without a personal relationship with God." Father James shows us how to shape up our prayer lives, offering descriptions of several types of levels of prayer and specific prayers, as well as tips for a deeper prayer life. And more than that, Father James candidly acknowledges that, "prayer is a struggle," but it is "intertwined with blessings, moments of profound peace, and the obvious presence of God." Father James encourages the reader to find times of solitude to retreat to prayer and get closer to the "One who always seeks us and calls us to himself." Jesus said, "Father, forgive them, for they do not know what they are doing." Reminding us that even in His suffering, Jesus loved from the Cross and continues to love us with a forgiving heart, Father James beckons us to do the same, to live holy lives and transcend the culture. One Sunday, Father James preached in his homily, "In a world torn apart by war, violence, hatred, confusion and chaos, we all need to be ambassadors of God's love for humanity. We need to show the world that love is possible. We need to show the world that we believe in love! I would suffocate and die if I could not live each day in love. How absurd it is to be selfish. Only Jesus, the icon of the Father's love for you and me, shows us how to love. His way is simple, practical and clear. His way is spelled out for us in the New Testament. Love, love and love more and more each day. Stretch your heart and love more each day." And this is what Father James is all about — preaching what he lives, loving us enough to point us to our responsibilities as Catholics, striving to lead us all in the right direction and away from the corruption of the world, while teaching us all how to love. There's much to be learned from this sincere and straightforward book. I'm reminded of something Saint Catherine of Siena said, which is: "When you are who you are called to be, you will set the world ablaze." Father James Farfaglia is an exemplary example of someone who unquestionably is living out who he is "called to be." With Father James's guidance, let's pray that with God's infinite grace, together we can set the world ablaze! — Donna-Marie Cooper O'Boyle, Catholic wife and mother of five, author, speaker and EWTN TV host of Everyday Blessings for Catholic Moms. To purchase a copy of Get Serious! 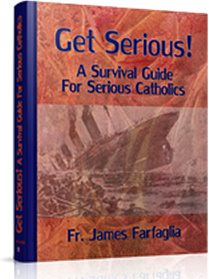 A Survival Guide for Serious Catholics, visit www.fatherjames.org.